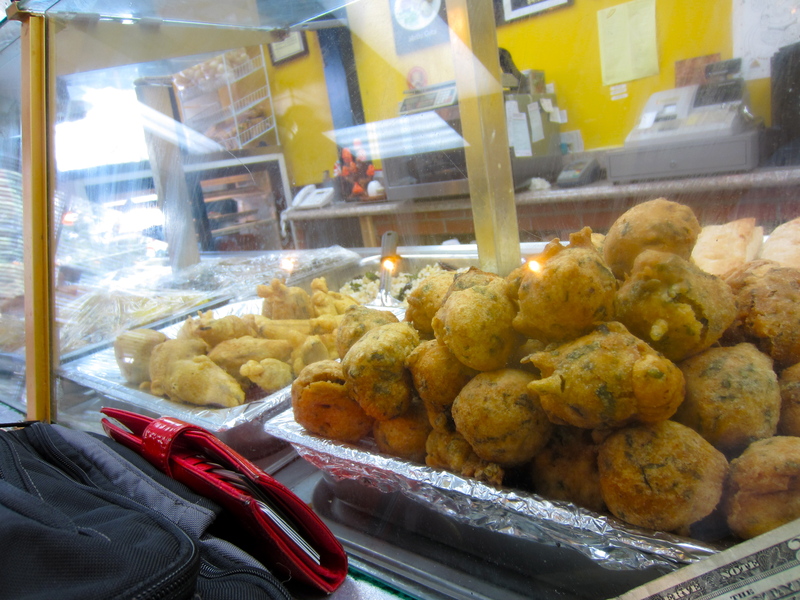 Chat Patti used to be my go to way back when I was just vegetarian. Then a couple of years ago I found out that vegan friends found plenty of tastiness there as well. So I pop by every once in a while when I’m up that way. Especially since we’ve lost track of our favorite South Indian chef. This is a very casual place. Cafeteria-style, order at the counter, get to go or eat there. 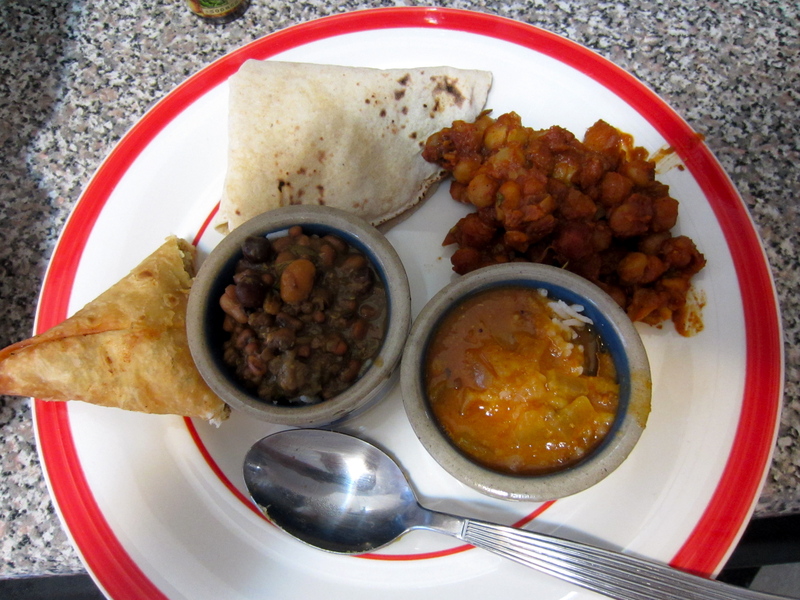 Usually rather than trying to make some kind of decision, I just get a veggie thali, hold the dairy and let them put whatever on it. And for $8.99, the amount of food is ridiculous. The thali usually comes with a dessert, but they all have dairy, so she put something else in there to replace it, not sure what though. The down side of me not picking things out is that I can’t really tell you what they are. And, of course, it’s going to make it hard for me to order some of these things again. Like this. 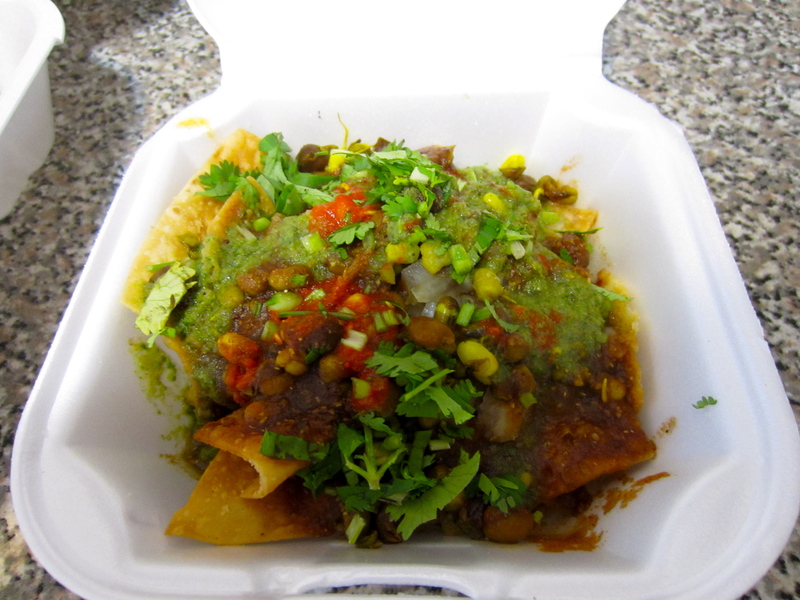 I’m going to call it Indian nachos. A pile of fried with a variety of sweet chutneys on top. So freakin’ good. 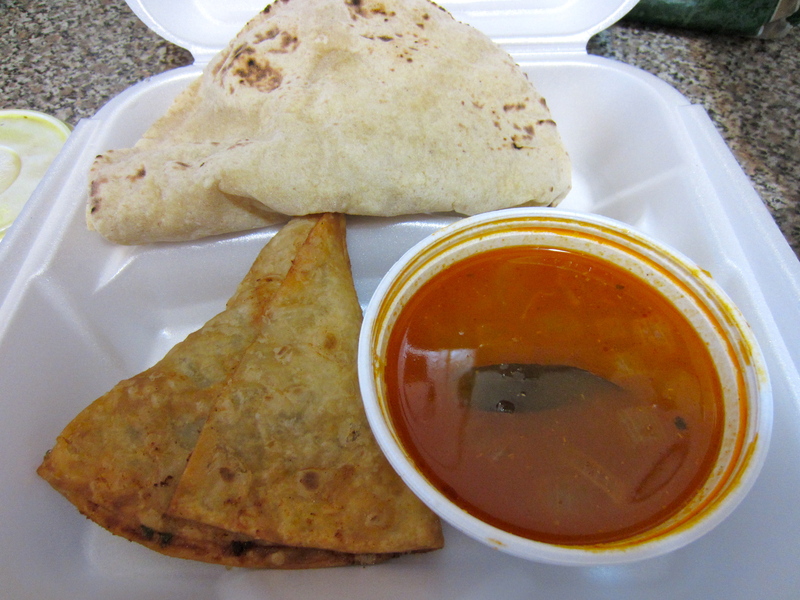 The next box contained 3 chapatti breads, a potato pea samosa and sambar (I think.) The leftover chapatti survived nicely overnight in the fridge and refreshed in 15 seconds in the microwave to go with my lunch the next day. 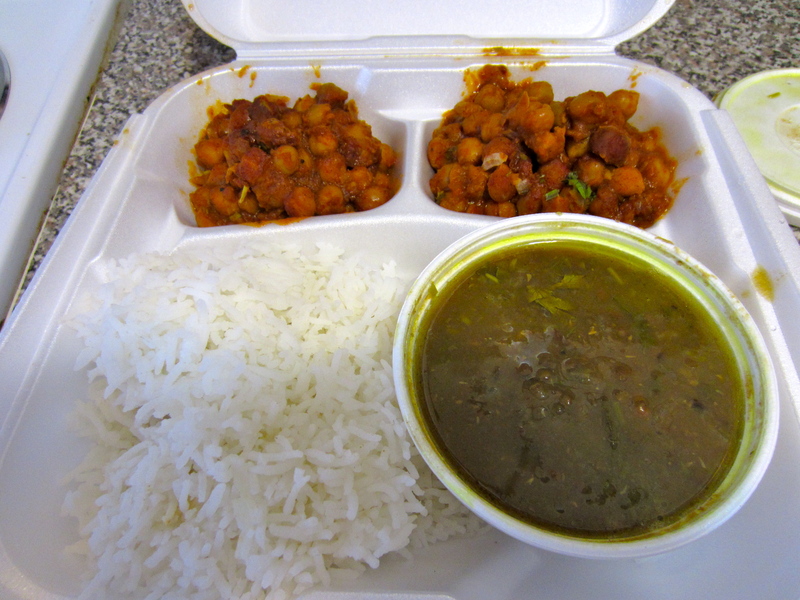 And, the next box had rice, chana masala and some bean thing. See what I mean? 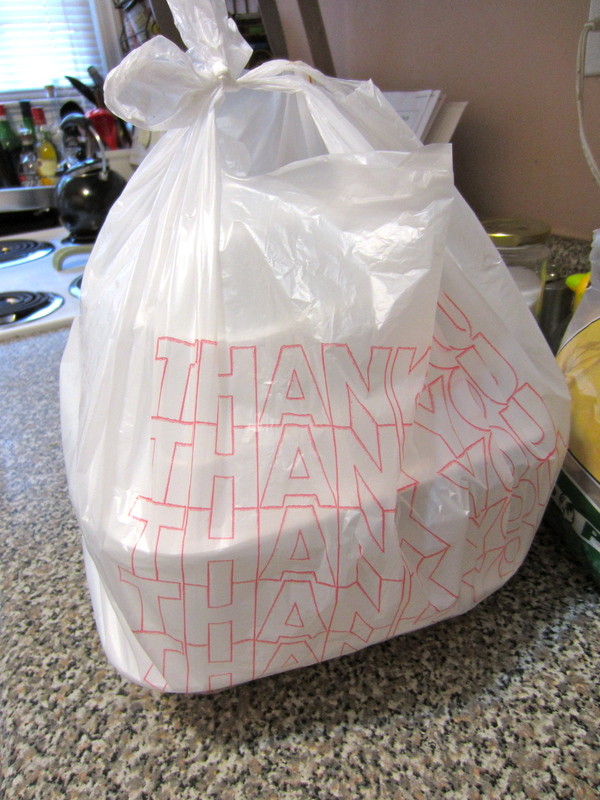 A normal person might’ve gotten three meals out of this but I devoured the leftovers for lunch. It’s probably a good thing this place isn’t convenient. Nothing here was crazy spicy, but I have had food that’ll make you sweat here before. Not that there’s anything wrong with that.